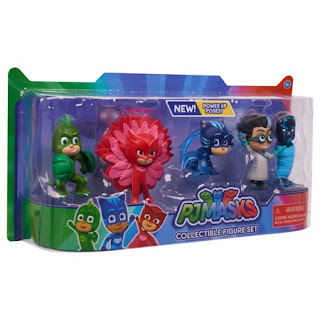 Walmart has the PJ Masks Collectible Figure Set - 5 Pack on sale for just $5.97 (regularly $12.99). Go into the night to save the day with the newest PJ Masks Collectible Figure Pack! Inspired by the PJ Masks new power-up abilities, each character comes posed with a dynamic power-up accessory.